When you were in school, you probably wonde red if you’d ever use what you learned in math class. Most people don’t need a compass or protractor to accomplish daily tasks, but our profession is based on measurements, fractions, and geometry (with some chemistry and physics thrown in, of course). It takes skilled craftsmen to install these works of artistry, but behind-the-scenes we’re often using colored pencils and protractors to prep for the laser lines and configurations used on the actual job site. Detailed measurements and certified installers combine to create beautiful symmetry. 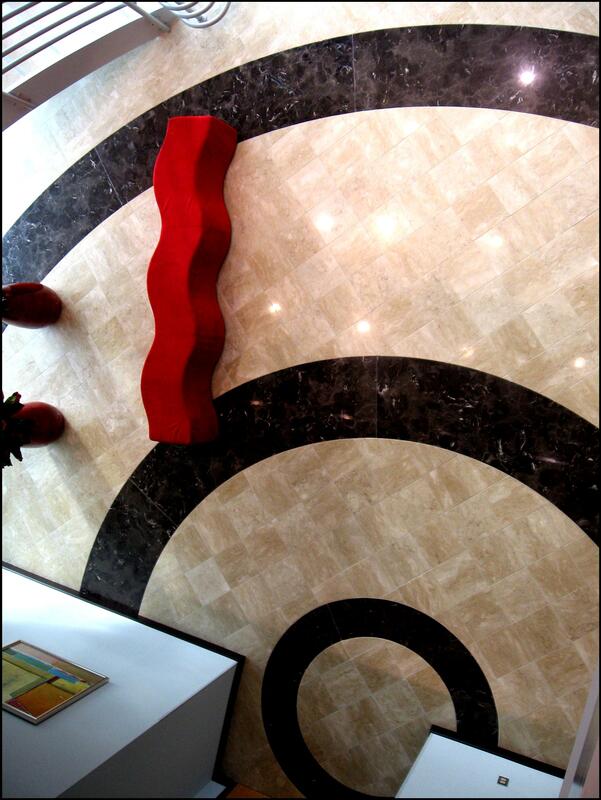 Geometry & tile artistry make this lobby a work of art. And, we even won a national award for a combination of tile and marble circles that we formulated to fill the first floor of a commercial space. Good thing we still remember how to use that compass and string from math class all those years ago! 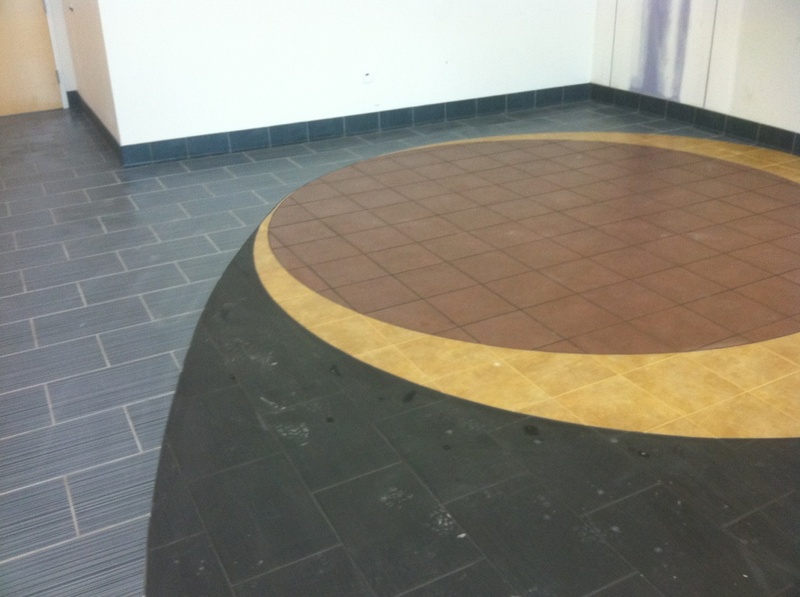 Whether it be in circles or squares, we love a long-lasting and beautiful tile installation. And, no matter what– it takes math to get there. 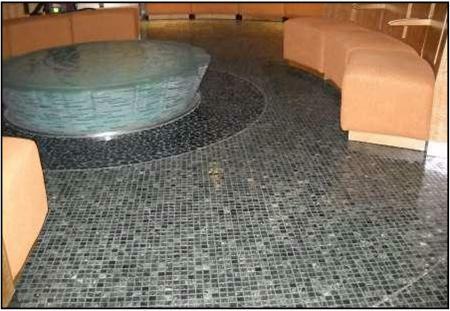 Categories: Ceramic tile, Installing tile and stone, Tile installation expertise | Tags: Customer satisfaction, Installation expertise, Quality tile install, Raleigh tile installer, Tile leader, Tile standards | Permalink.